Brando USB 2.0 to Dual SATA HDD Adapter lets you connect two 2.5″ / 3.5″ SATA hard disk drives to your computer via USB port and the best of all it supports RAID1 functionality. 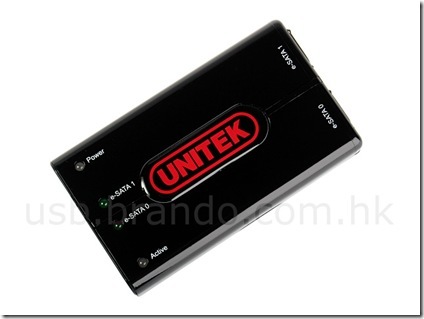 The USB 2.0 to SATA adapter contains a Silicon Image Sil5744 storage processor that operates it with one USB 2.0 and two SATA HDD simultaneously. 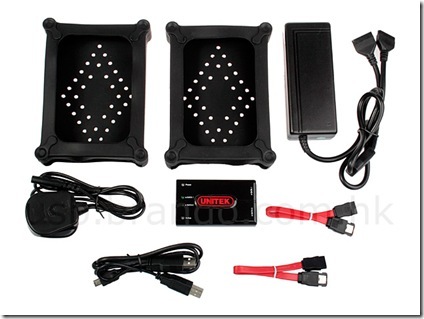 The SATA drives are connected to the adapter using the eSATA ports that are present in the adapter. Brando has also provided a power supply so that you can power your SATA hard disk drives. When the drive is connected to computer it gets recognized as USB mass storage device under Windows there by making it plug and play compatible. 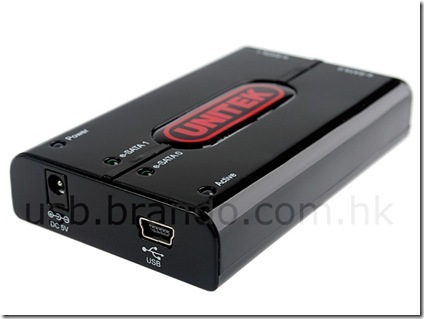 Brando USB 2.0 to SATA adapter can be used under Windows 2000/XP/Vista. 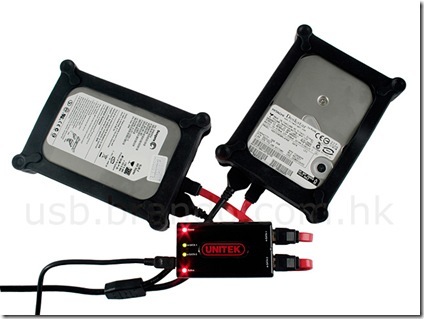 The adapter is compliant with SATA 1.0a specification, USB 2.0 specification and USB & SATA Mass Storage. This entire package weighs only 41gms and the dimensions are 85 x 50 x 16mm. Two 3.5″ silicon cover is also provided so that hard disk drives can be safely used with out causing any accidental damage to their sensitive electronics that are exposed. The Brando USB to SATA adapter retails for around USD $69.00 which we feel is quite worth for the features and functionality this gadget offers. You can get Brando USB to SATA adapter from here.